Detailed, worked-out examples are now included throughout the text. In addition, review exercises are now included following the discussion of each important topic to help readers assess their grasp of the material. 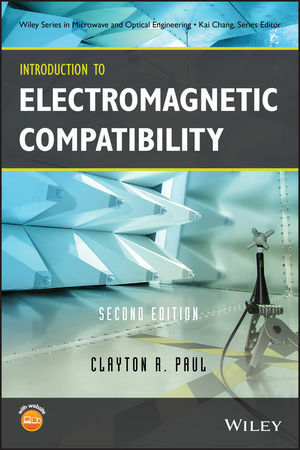 Several appendices are new to this edition including Phasor Analysis of Electric Circuits, The Electromagnetic Field Equations and Waves, Computer Codes for Calculating the Per-Unit-Length Parameters and Crosstalk of Multiconductor Transmission Lines, and a SPICE (PSPICE) tutorial. CLAYTON R. PAUL, PHD, is Professor and Sam Nunn Chair of Aerospace Systems Engineering, Department of Electrical and Computer Engineering, Mercer University. He is also Emeritus Professor of Electrical Engineering at the University of Kentucky, where he served on the fac-ulty for twenty-seven years. Dr. Paul is the author of twelve textbooks in electrical engineering, has contributed numerous chapters to engineering handbooks and reference texts, and has published numerous technical papers in scientific journals and symposia. He is a Fellow of the IEEE and a Honorary Life Member of the IEEE EMC Society. This second edition has been substantially rewritten and revised to reflect the developments in the field of EMC. Chapters have been repositioned and their content revised.